We the vendors are engaged in offering Bagerhat Special Betel Leaf that are cultivated in proper shade and irrigation that is essential for the successful cultivation of this crop. The plants are regularly watered in the hot months with use of organic manure at the vendors end. Owing to the rich industrial experience and expertise in this business, we are involved in providing a supreme quality array of Betel Leaves. We are the best wholesalers of pan leaves. Already exporting pan leaves to taiwan. Getting pan leaves from all over india. Dealing with kapoori, vc, pc, chakkai, calcutta and maar pan leaves. Genuine pan buyers must contact us. We are offering Herbal Paan to our valuable clients. It has been given a refreshing taste and can be consumed after supper. We can offer surplus quantities of this products at the most comprehensive and market leading price range. 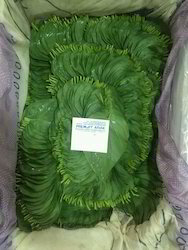 We are sending high breed quality leaves that has been procure directly from the farms and sending to our clients after processing and with out loosing the freshness. 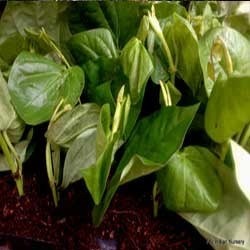 Under the supervision of our experienced professionals, we are providing high quality range of Fresh Betel Leaf. Betel Leaf is one of the best digestive and mouth freshener used since ancient time. It has many Ayurvedic benefits. Mostly chewed after meal. We do provide variety such as Bangla, Kolkati, and kapoor. Being a leading enterprise of this industry, we are offering a huge range of Betel Leaves. We are one of the largest suppliers for fresh betel leaves, and we poccess an extensive experience of 8 years in the industry. - We are offering premium quality of Dehydrated Betel Leaves Powder, which is hygienically manufactured at Advanced Room Temperature Dehydration Technology. - Dehydrated Betel Leaves Pieces are used for headaches, arthritis and joint pain.